The VF Natural Diet is a winner for equines and their owners. Developed by equine herbalist Victoria Ferguson, it has been enthusiastically taken up by horse owners all over Australia in the past 25 years. Cat Day, from Bowerette Sport Horses, Bairnsdal, Victoria, says “This way of feeding has saved me thousands a month even in the drought”. The mainstay for Cat’s horses, especially in the drought, is the millet and linseed porridge, which provides protein, fibre, oil and mucilage which prevents and removes sand build up in the gut, keeps the gut hydrated, reduces the amount of hay that needs to be fed, and is a really good conditioner. Cat’s horses were affected badly with days of heavy smoke during the recent bushfires. 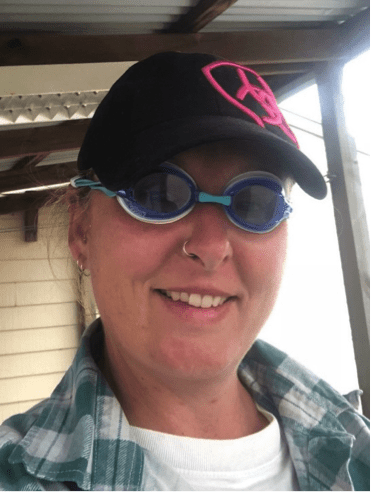 Cat resorted to goggles so she could see well enough when she was looking after her horses. They were all coughing and had sore eyes and I advised her to obtain Chamomile flowers and Calendula petals to make two types of tea. She made up buckets of Chamomile tea and they all willingly drank it which stopped the coughing and helped to settle them down. The Calendula tea as used to bathe their eyes, and she and her partner who is a firey also used it – with great relief. “The horses didn’t even need halters they were so grateful to get their eyes soothed and clean” she said. 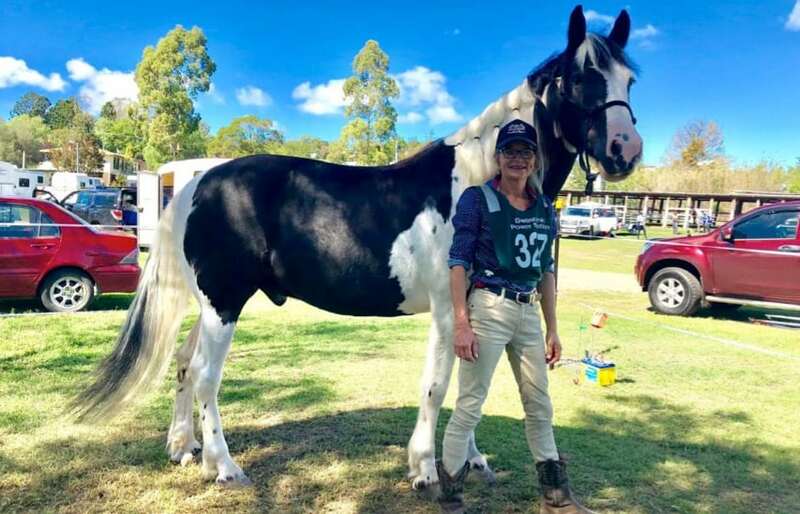 Loraine Knobel from Dalveen in Qld, has had her gypsy cob/Clydie cross gelding, Toby, on his very simple and inexpensive VF Natural Diet for 3 years. He is an awesome trail horse, and now as a 7 year old he has just completed his first endurance ride at Killarney. They completed the introductory ride of 24 kms in 2 hours 48 minutes and passed all their vet checks. Loraine reports “Toby loved the challenge, the social aspect and shined with his ‘we got this’ attitude.